Vegas Hero Casino invites all players to claim a great match bonus. 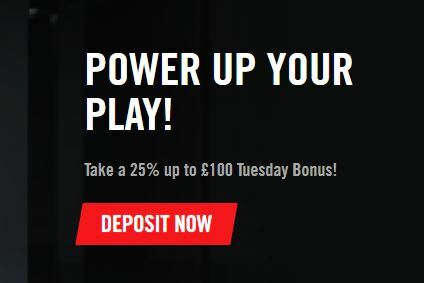 Every Tuesday, you can get your hands on a bonus of 25% up to £100. Make a deposit and you will be eligible to receive this promotion. Play slots or table games and have fun! The bonus funds are valid for 14 days from the moment they were credited, so use them before they expire. Wager the bonus funds 40 times before making any withdrawals. Enjoy every second of your gaming session with this promotion!